Michelle Lyons PT, MISCP, is a graduate of University College Dublin, Ireland, with over eighteen years experience working in women's health. She is currently living and working in Connecticut as Women's Health coordinator for Access Rehab Centers, one of the largest therapy providers in New England. At Access Rehab Centers, Michelle designed and implemented their women's health programs, including pre and post partum care, pelvic floor dysfunction, pelvic pain, sexual dysfunction and colorectal health, menopausal wellness, spinal dysfunction, TMJ/headache pain and a breast cancer rehab program, which incorporates manual therapy, lymphedema management and specific exercise prescription. A firm believer in integrative healthcare, she incorporates therapeutic Pilates, yoga and lifestyle advice into her treatment protocols. Michelle has appeared in local newspapers, radio and television programs speaking on women's health issues. 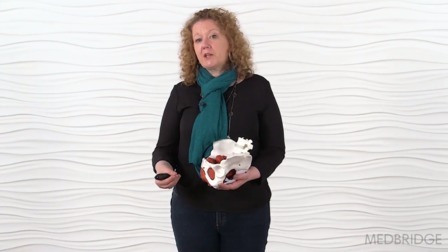 She has presented programs in Ireland, Canada and the U.S. including The Wise Woman weekend, The International Herbal Symposium and The New England Women's Herbal Conference and for the Irish Society of Chartered Physiotherapists.